Steph and Brandon’s Note: Imagine it's your first week of an APPE rotation at an anticoagulation clinic. You're excited and a little nervous. You've been brushing up on your Lovenox. You've read all you can about Eliquis and Xarelto and Pradaxa (oh my!). You're ready to impress. Then there's the elephant in the room that is warfarin. Sure, you know lots of random drug trivia about it. But how do you actually DOSE warfarin? Because it's so different from patient to patient and because the NAPLEX may not drill into the specifics of it, the dosing of warfarin is often pushed off for you to learn somewhere during your practice experience. We’re not saying that is wrong, but it doesn't help you out one bit on your APPE rotation either. And ye olde standby warfarin still has its place in therapy even in the dawn of the DOAC age. So as pharmacists, we CAN’T forget about warfarin. Because if we do, literally NO ONE else will know how to manage it. Oh hey. Lookee here. The two of us have tag teamed to shed some light on the warfarin haze. This is a long one, so bear with us. It’s not exact, but then neither is warfarin. So feel free to bookmark this page and come back to it a few times until you’ve digested it all. And for your learning convenience, we’ve also created this handy anticoagulant cheat sheet. It covers basically everything you need to know about anticoagulant and antiplatelet meds. Set your eyes to “peep” and check it out. This discussion has to start off with a little background from our old frenemy, the coagulation cascade. The coagulation cascade represents the strategies the body has for forming blood clots. Basically, there are 2 different options for starting the cascade: the intrinsic pathway and the extrinsic pathway. These pathways are tipped off by either damaged endothelial cells inside blood vessels (intrinsic) or external tissue trauma (extrinsic). Both pathways eventually lead to the final common pathway and fibrin activation for clot formation. Whoa, did anyone else hear a deep booming voice saying “fiiiiinal coooommon paaaathwaaaaayyyy”? Or your brain went to Arrested Development. All of those are legitimate. Other than how the pathways are activated, the big difference between the two is which clotting factors are involved. The intrinsic pathway is thought to be slower since there are more participating clotting factors, whereas the extrinsic pathway only has to activate factor VII before hitting the common pathway at factor X. We could go on all day about this, but let’s stop ourselves. Since this post is ultimately about warfarin, there are a couple of major points to focus on. First, several of the clotting factors in the cascade are dependent upon vitamin K for activation. In order of shortest to longest half lives, these vitamin K-dependent clotting factors are VII, IX, X, and II. Trust me when I say just go ahead and learn them like that. Break your pharmacy OCD…it’ll be ok that they’re not in numerical order! Interestingly, there are two other vitamin K-dependent factors in the cascade: proteins C and S. These, however, are not clotting factors. Rather, they are the body’s natural anticoagulants! Protein C has a short half life, about like that of factor VII. Protein S’s half life is longer, somewhere on the order of factor II (although factor II’s is still longer). Why do half lives matter here? Remember your kinetics? And that it takes about 5 half lives for a drug to reach steady state (or to be cleared from the body)? This “rule” holds true for warfarin and your clotting factors too. As we’ll learn in a second, warfarin only inhibits the synthesis of your vitamin K-dependent clotting factors. 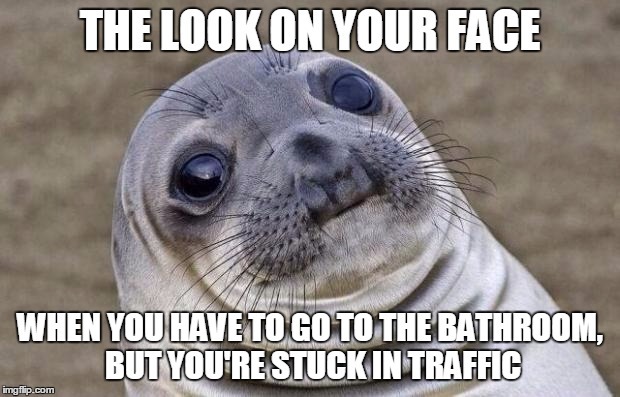 It doesn’t do anything to the ones already in your circulation. So, among the first clotting factors that dies off when you start warfarin is Protein C (because of that super short half life). And the clotting factor that sticks around the longest is Factor II. We’ll get into more detail on all of this soon, but YES there are therapeutic implications to that little knowledge bomb. So log that info away for now. And yes, we know there’s a lot more to that hateful cascade diagram. But these are the main points to take away for now. Oooo…see what we did there? Modus operandi (MO) vs mechanism of action (MOA). Pharmacy punny. 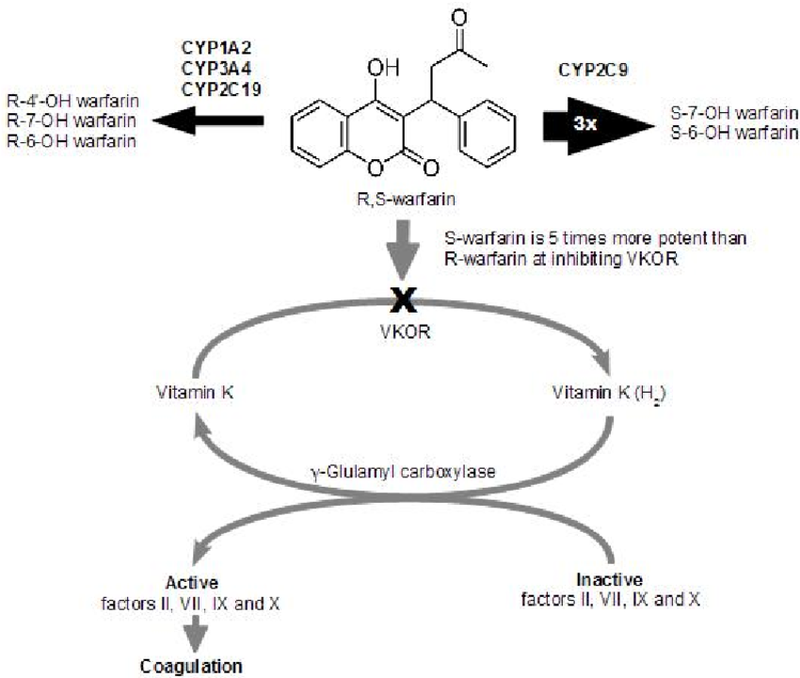 Warfarin inhibits the enzyme VKORC1, aka vitamin K oxido-reductase. This enzyme is responsible for taking oxidized (aka used, electron-depleted) vitamin K and reducing it (aka adding electrons). Only the reduced form can be used as a cofactor in the carboxylation process for activating clotting factors. Basically, think of it like this. VKORC1 isn’t the weapon - it’s the soldier who keeps the stock of gunpowder (reduced vitamin K) high enough to be able to fire the cannon (activating clotting factors). And warfarin goes all James Bond on VKORC1 and takes him out so that the gunpowder depletes and the clotting factors can’t be activated. As we discussed, the vitamin K-dependent clotting factors are VII, IX, X, and II, as well as the regulator proteins C and S. So these are the cascade factors that warfarin affects. There are genetic variations in the DNA encoding the VKORC1 enzyme. The fancy-pants genetics people call these variations “polymorphisms.” A polymorphism is a slight difference in the DNA between people that may lead to differences in how a protein functions. To use an analogy, there are a lot of different ways to make a chocolate chip cookie. The taste (i.e., the “function”) will differ between those recipes, but you’re still making a chocolate chip cookie. There are several known polymorphisms for VKORC1 which lead to varying function and numbers of copies of the enzyme. Since VKORC1 is the target of warfarin inhibition, people can have variable sensitivity to warfarin depending on which polymorphism they’ve inherited. A common single nucleotide polymorphisms (SNPs) for VKORC1 is the –1639 G > A. In a nutshell, your DNA gets an Adenine mixed up for a Guanine, which codes for a less functional version of VKORC1. Patients with this polymorphism require lower doses of warfarin. Interestingly, –1639 G > A is quite prominent in those of Asian descent (~90% of the studied population) and decently prominent in Caucasian populations as well (about 40%). This is (at least) a contributing factor to the increased sensitivity to warfarin observed in most patients of Asian descent, and it helps explain some of the dosing variability seen in Caucasians. Yes, but it gets complicated reeeeally fast. Multiple other VKORC1 polymorphisms have been identified, some of which result in increased warfarin sensitivity, and some (like -3730 G > A), that result in reduced warfarin sensitivity (and higher dose requirements). You can imagine the complexity of trying to predict doses in these patients. But this is exactly what the field of pharmacogenomics seeks to accomplish. A few years ago, there was a big push to develop non-invasive, cost-effective genetic tests to determine an appropriate initial warfarin dose based on the presence or absence of VKORC1 polymorphisms. Warfarin is supplied as a combination of enantiomers (whoa, taking you back to organic chem). Remember, enatiomers are pairs of molecules that are mirror images of each other. Think of it like “left-handed” and “right-handed” warfarin. So each warfarin tablet has both R-warfarin and S-warfarin, with the prefix letters denoting the 2 enantiomers. S-warfarin is far more potent than R-warfarin when it comes to VKORC1 inhibition. Why is this trip down organic chemistry memory lane important? Warfarin is metabolized by the CYP450 system, mostly by CYP2C9 and CYP3A4. But it gets tricky, because CYP2C9 and 3A4 don’t metabolize the 2 enantiomers of warfarin equally. CYP2C9 is largely responsible for the metabolism of S-warfarin, whereas CYP3A4 works on R-warfarin. But remember that S-warfarin is much more potent for anticoagulant therapeutic effect. Just like variations in the VKORC1 enzyme can create downstream ripples in the sensitivity to warfarin, variations in CYP2C9 activity can also lead to significant impacts. Also just like VKORC1, polymorphisms in CYP2C9 have been investigated for their potential in predicting appropriate warfarin doses. According to the Clinical Pharmacogenomics Implementation Consortium (CPIC), there are over 60 identified allelic variants from wild type CYP2C9! The clinical significance of many of these is not yet known, but the CYP2C9*2 and CYP2C9*3 alleles are among the most studied, and both are correlated with decreased CYP enzyme function (aka poor warfarin metabolizers). Patients with either of these alleles will have increased sensitivity to warfarin and lower dosage requirements since more S-warfarin hangs around inhibiting VKORC1 before being metabolized. CPIC last released updated 2017 guidelines for warfarin dosing based on genotyping of VKORC1 and the CYP2C9 alleles. However, again, given the cost and time associated with these tests, these practices have not yet reached the mainstream. And NOW we can finally move to warfarin dosing! Oops, we lied. We’re not quite to warfarin dosing just yet. Before we go to dosing, you have to understand how we measure and assess anticoagulation. In order to see how “thick or thin” a person’s blood is, one option we can use is the International Normalized Ratio (INR). The INR is a "normalized" version of the Prothrombin Time (PT). Don't mix this up with the activated Partial Thromboplastin Time (aPTT). The PT is the only clotting test available that measures Factor VII. Depending on the institution, either the anti-Xa or the aPTT is used to monitor heparin and/or LMWH therapy (i.e., Lovenox). Since this is a warfarin post, let’s focus a little more on this PT/INR. So how are the PT and INR related? Basically, PT levels vary between individuals (and over time). Your "normal" PT level will be different than mine. But despite this inherent variation, we’re kinda stuck with the PT for monitoring warfarin since we have to have something that measures Factor VII. Remember, warfarin specifically inhibits Factors VII, IX, X, and II. So a bunch of statisticians got together and "normalized" the PT value by putting it in a math equation. This spits out the INR, which helps compare apples to apples between patients. Now we can set broad therapeutic goals that apply to everyone. For almost every indication, we shoot for an INR between 2.0 and 3.0. For mechanical mitral heart valves, we use 2.5 - 3.5. For reference, a normal, non-anticoagulated INR is somewhere around 1. Understand that the INR is still an estimate. It's not that different from using Cockroft-Gault to estimate kidney function. Your real PT/INR is dynamic and changing from moment to moment. We just use the blood draw samples from a single point in time to gauge it. We’ll come back to this idea later when we talk about common dosing errors. Now that we know a little more about where warfarin lives in the coagulation cascade as well as how it is monitored, we need to address some other factors that can mess with warfarin to affect sensitivity. 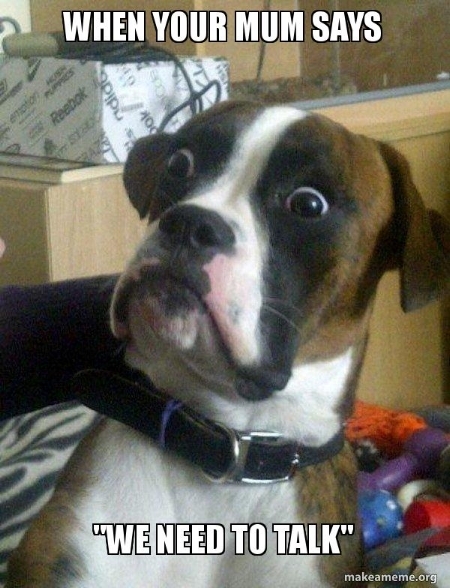 *See Lexi-Comp Drug Interactions for full list. If you’re not sure about whether a drug interacts with warfarin, look it up! You may think a medication doesn’t interact, and then voila, there it is on the list with a big ‘ole D or X beside it. Sulfamethoxazole/trimethoprim (Bactrim) - This antibiotic is notorious for increasing sensitivity to warfarin via unclear mechanisms. It may be related to displacement of warfarin from protein binding sites, alterations in CYP2C9 metabolism, or alteration of vitamin K-producing gut bacteria. Regardless, consider a preemptive 10-25% reduction in warfarin dose. If you work in an outpatient setting and the patient is starting Bactrim on a Friday, you may even just tell them to hold a dose of warfarin entirely and come back to the clinic on Monday. You can expect to see the effect on INR within a couple of days of initiating the Bactrim. Amiodarone (Cordarone/Nexterone) - This antiarrhythmic medication is even more infamous than sulfamethoxazole/trimethoprim for interacting with warfarin! As you probably remember from your cardiology therapeutics module, amiodarone is a potent inhibitor…of EVERYTHING. CYP450, Pgp, etc. By inhibiting the CYP450 enzymes responsible for warfarin’s metabolism, amiodarone enhances the action of warfarin (causing a corresponding increase in the INR). Consider a pre-emptive 30-50% reduction in warfarin dose with amiodarone initiation. But with the prolonged half life of amiodarone (53 days! ), know that you may not see the full effects of the interaction right away. And also know that if you ever discontinue amiodarone, this drug interaction can still be affecting your INRs for weeks and weeks and weeks. Metronidazole (Flagyl) - This antibiotic is definitely one of the bad boys for causing exaggerated INR jumps. Although we’re not entirely sure why this interaction exists, it may be due at least in part because of metronidazole’s weak inhibition of CYP2C9 and/or alterations of gut flora. Consider a pre-emptive decrease in warfarin of up to 30% when this antibiotic is added to warfarin, and expect the interaction to kick in relatively quickly - just a couple of days. Fluconazole (Diflucan) - This popular antifungal can wreak havoc on your patient’s INR. By inhibiting CYP2C9 (and a little CYP3A4), fluconazole significantly increases the action of warfarin. Per case reports, this effect can even be present with the one dose of fluconazole used to treat yeast infections in women! However, as expected, the greatest effects are with longer fluconazole courses. Consider empirically reducing warfarin doses by up to 50% when initiating fluconazole (but please use your judgement depending on the dose and duration of the antifungal). Of note, other azole antifungals can also interact with warfarin. So use caution with voriconazole, posaconazole, etc. as well. Ciprofloxacin (Cipro) - Honestly, ciprofloxacin wasn’t originally part of the Fab Five (indeed, it used to be the Fab Four). But after getting caught a few times on INRs, we’ve added it to the list for awareness. This quinolone antibiotic is a wee bit sneakier than the rest of the Fab Five. Although it can produce profound increases in INR, not all warfarin patients experience this. In fact, some have no changes in INR at all. But it’s just so darn hard to predict! Mechanistically, we plain don’t know what’s going on here. Are there changes in warfarin protein binding? Alterations in metabolism or gut flora? Or nothing at all!? Regardless, this is one drug interaction that you kind of just have to watch. Even if you don’t empirically decrease the warfarin dose, you definitely need to have a hawk eye on the INR. Of note, this possible interaction applies to multiple quinolones, not just ciprofloxacin. Rifampin (Rifadin) - Oops, we lied again. Technically, our drug interaction group should be the “Fab Six”. But it just doesn’t have the same ring to it. What can we say, we like alliteration. Also, some could (reasonably) argue that this medication should usurp ciprofloxacin’s questionable interaction. Anyways, rifampin is probably the single most important medication cause of warfarin resistance. As a potent CYP2C9 inducer, rifampin significantly increases warfarin metabolism, leading to decreased anticoagulant effect. This is usually a delayed effect, occurring 1-2 weeks after dual therapy is started (and for what it’s worth, MOST CYP inductions are delayed effects). This is the interaction where you might actually see warfarin doses around 35 mg daily!! After you pick your jaw back up off the ground and stop scrambling to see where the error was made in the order, you'll realize that rifampin’s also on the patient’s medication list. And breathe a sigh of relief that the warfarin dose is probably legit. These patients require extremely close monitoring, especially as rifampin is added to the regimen (expect a 2- to 5- fold increase in warfarin dosing requirements) and then when it is removed. 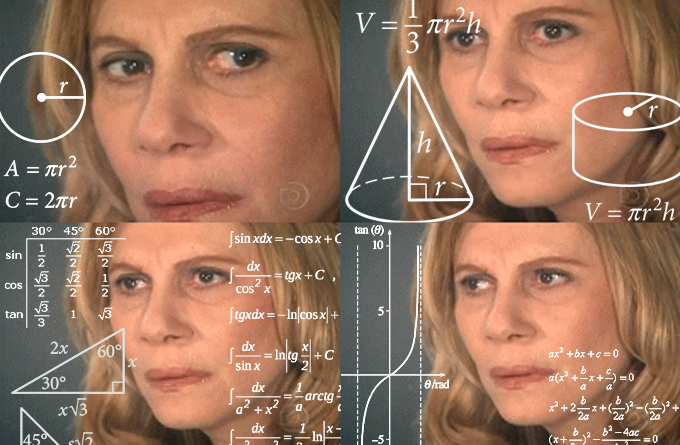 You can imagine how scary it is to finish the antibiotic course and then try to figure out how fast to decrease the warfarin back to more normal doses. MONITOR. In a very general sense, patients who are larger tend to be more resistant to warfarin, and they often require larger doses to achieve therapeutic INRs. Conversely, patients who have lower body weights are often more sensitive to warfarin. Not to say that there aren’t many patients who defy this generality. 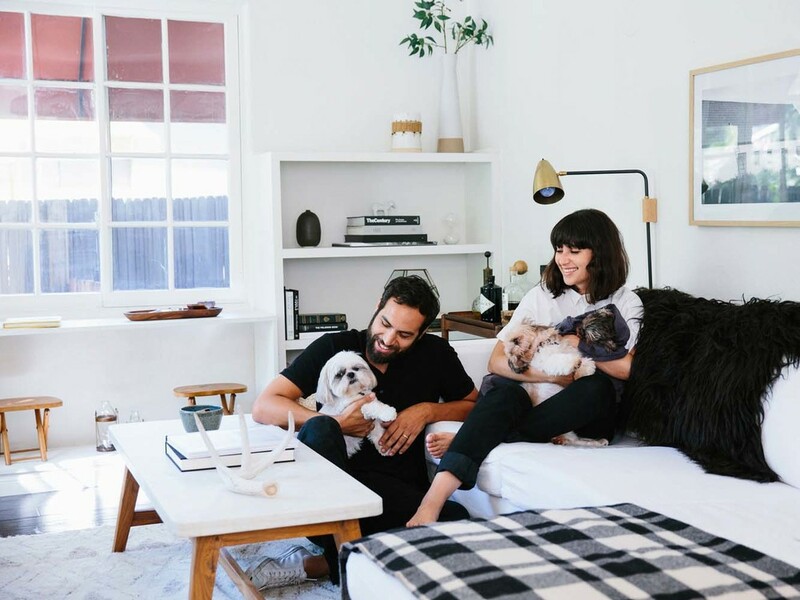 But weight is a factor to keep in mind and combine with the other sensitivity factors, especially when determining a starting dose of the medication. Although not fully elucidated, patients with chronic kidney disease (CKD) including end-stage renal disease (ESRD) tend to be much more sensitive to warfarin. Mechanistically, we’re not entirely sure why, although proposals include changes in hepatic metabolism due to renal disease and alterations in drug clearance and protein binding. Regardless, this MAY not be a thing where you empirically reduce your starting dose of warfarin, but you should at least consider it combination with other sensitivity factors. Think of the body as a highway system. The bloodstream is the interstate, and the organs are the rest stops. If there’s a traffic jam on the interstate, guess what - you’re not getting to that restroom any time soon! Similarly, changes to blood flow throughout the body can affect perfusion of the organs. And if blood doesn’t reach the organs in a normal manner, the organs don’t do their usual jobs so well. So any disease states that affect perfusion of the organs (specifically the liver in this case) can affect metabolism of warfarin and increase sensitivity to the drug. Two of the most notorious for this are heart failure exacerbations and atrial fibrillation, especially if reaching rapid ventricular response level. Caution and close INR monitoring are warranted in these scenarios to ensure warfarin doses are adjusted appropriately as perfusion either decreases or improves. Just like changes of perfusion to the liver can alter how much drug (any drug, but obviously warfarin) is metabolized, there are certain disease states that can change the metabolic processes themselves (and, so, alter warfarin’s effects). Think back to basic chemistry. How do you speed up a chemical reaction? 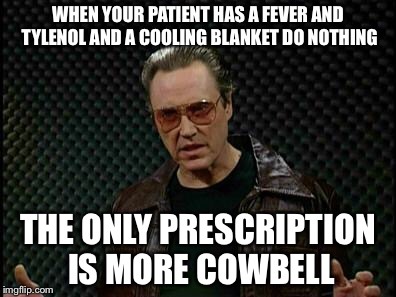 And what’s the equivalent to adding heat to a patient? Febrile patients have higher metabolic rates. While you might think this means higher metabolism of the drug and therefore reduced sensitivity to warfarin, ironically it seems that the increased turnover of the body’s clotting factors wins out. So prolonged high fevers seem to cause increased warfarin sensitivity. Similarly, which organ is responsible for controlling many of the body’s metabolic processes? Changes in thyroid function (either due to intrinsic disease or artificial supplementation) can increase or decrease warfarin metabolism, just like temperature. The trick is remembering how this interaction works. Increased thyroid activity (either by hyperthyroidism or levothyroxine supplementation) has been thought to lead to increased turnover of the body’s clotting factors (i.e., their half lives are decreased and they “die off” sooner). This may lead to increased warfarin sensitivity (and lower dose requirements), although the clinical significance of this interaction is highly debated. Another theory behind increased warfarin sensitivity in hyperthyroid patients is decreased warfarin protein binding, which would lead to more “free and active” warfarin. A third idea is that higher thyroid hormone levels may increase warfarin binding to its target, VKORC1, thereby enhancing its anticoagulant action. Who knows. But hyperthyroid patients should be monitored for increased warfarin sensitivity. Conversely, hypothyroid patients have slowed metabolic processes and may be more resistant to warfarin since those clotting factors aren’t being broken down so quickly. Again, hyper- or hypothyroidism isn’t reason enough to change your empiric dosing regimen. But it is a possible drug interaction and metabolic state to be aware of in order to monitor INRs appropriately. Humans are not sterile. In fact, we’re naturally infested with loads of bacteria, and normally we all work happily together to remain healthy. Our gut is no exception. It’s teeming with normal bacterial flora that help to regulate all that’s happening in the digestion and excretion processes. Some of these bacteria naturally produce vitamin K as part of their usual metabolism. As we harped on above in the MOA section, vitamin K is basically the Voldemort to warfarin’s Harry Potter. They work against each other (not that vitamin K is the source of all evil). When the gut flora are affected and this enteric vitamin K production decreases (whether by antibiotics, vomiting, or diarrhea), sensitivity to warfarin increases. You didn’t think we were done yet, did you?! Similar to the gut flora discussion, the amount of vitamin K consumed by a person can affect the actions of warfarin. Foods that are high in vitamin K include the dark, green, leafy veggies - spinach, kale, collards, broccoli, brussel sprouts, etc. But there are some other sneaky foods on the list like blueberries, and green tea, which if eaten (or drank? drunken? drunkeded?) in sufficient quantities can mess with an INR. For a more extensive list of the vitamin K content in common foods, peep this page. So what do you do? Ban all your warfarin patients from eating these vitamin-rich, healthy foods? Of course not! We want our patients to be healthy! (Seriously, THE most common warfarin misconception is that “I’m not allowed to eat salads.” Don’t perpetuate this myth). If patients like to eat spinach salads 3 or 4 times a week, then they should try to stick to eating them 3 or 4 times a week. It’s when people drastically change their diets that we see significant impacts on their INR and subsequent warfarin dosing (spoiler alert: look out for this Every. Single. New Year’s Day. #NewYearNewYou). When your patient comes to you and says he’s trying to lose weight and has started a new diet consisting of kale smoothies 5 days a week, you may want to watch his INR more closely in order to know how much to increase his warfarin dose. If your patient had one slice of blueberry pie at the neighborhood July 4th picnic, you can probably let that one slide. Long story short, patients have to pay attention to what and how much they are consuming in order to keep some sort of INR stability. But the crucial point here is that consistency (NOT avoidance) is the key. Fun fact: the liver is responsible for synthesizing clotting factors (it’s one of this mighty organ’s major metabolic functions). Patients who have liver diseases, including advanced cirrhosis, don’t produce as many clotting factors as people without liver disease. So patients with liver disease may have higher-than-normal baseline INRs. And if they have a high baseline INR, guess what? They will probably require a lower warfarin dose. So when the baseline INR is greater than ~1.3, question the patient’s inherent sensitivity and consider being a little more conservative with your warfarin dosing. Of course, as a side note, this assessment can get a little tricky when you’re trying to transition to warfarin from a DOAC, the latter of which can qualitatively (not quantitatively) elevate the INR. So the question becomes, is the INR still slightly elevated from the remaining DOAC in the system (you’ll have to assess your patient’s medical history and current organ status as best you can), or is it due to some intrinsic hepatic defect? Warfarin is highly protein bound. “Highly” meaning like 99% protein bound. When you consider that only unbound warfarin is “active” warfarin, you can see how changes in the amount of protein in the blood could affect sensitivity to warfarin. And, to be clear, by protein, we mean albumin. It’s also important to think about other drugs that are highly protein bound, and how they can displace warfarin from albumin (increasing active warfarin in the process). Just as an example, drugs like phenytoin and valproic acid are the poster children for “highly protein bound, will knock warfarin’s punk @ss right off its albumin throne” drugs. There’s not a great strategy to deal with these (not even getting into the fact that phenytoin is a very potent CYP inducer). Monitoring is crucial here. Regardless of other drugs, when patients have low albumin levels, whether due to malnutrition, age, or liver disease, that means potentially increased warfarin sensitivity. Don’t be too aggressive with your starting dose of warfarin. OK, now we can get to dosing! Let it never be said tl;dr doesn’t deliver on its promises. It might just take us a few paragraphs. Let’s start with initiation of warfarin therapy. And to get the huge, glaring, disclaimer out of the way, we are primarily speaking about inpatients. You can apply most of these rules to initiating warfarin in the outpatient setting as well, but the daily monitoring that so spoils us in the inpatient world is just not realistic for outpatients. The easiest way to think about this is that you have 3 choices. You can start with warfarin 2.5 mg, 5 mg, or 7.5 mg. So how to pick which one? Think of 5 mg as a “normal” starting dose for your average weight, middle aged, no major drug interactions, generally healthy patient. From there, if your patient meets one of the major (or maybe a couple minor) criteria for increased sensitivity that we just discussed above, perhaps you consider starting with 2.5 mg instead of 5 mg.
On the contrary, if your patient is young, large, and doesn’t have any drug interactions, you may consider starting with 7.5 mg instead of 5 mg.
There’s really no right answer…only reasonable answers. However, there definitely are wrong answers. Please don’t start the 85 year old woman who weighs 50 kg and is on metronidazole for her diabetic foot infection on 7.5 mg, especially if her indication is atrial fibrillation. Honestly, she’s probably not even a 5 mg-er. She’s a solid 2.5 mg starter, all day. Also, “wrong answers” would include trying to “load” patients with warfarin. Meaning we do not give patients 10 mg on days 1 and 2, then send them out the door on day 3 with 5 mg daily when their INR is 2.5. Sure they’re 2.5 today, (woohoo, therapeutic, congrats!). But guess what - by day 6 it’s going to be an INR of 7, and they’re coming back to your unit with an intractable nosebleed (or worse…). So no loading doses, no matter how fast the providers want you to go up on the dose (and we know you have pressure to get them out of the door). Let’s have a moment to discuss the indication here as well. If your patient is being initiated on warfarin for an acute bilateral pulmonary embolism, maybe you’re a little bit more aggressive in your dosing than for atrial fibrillation, where the risk of a complication (aka stroke) happening in the next couple of days is pretty minimal. 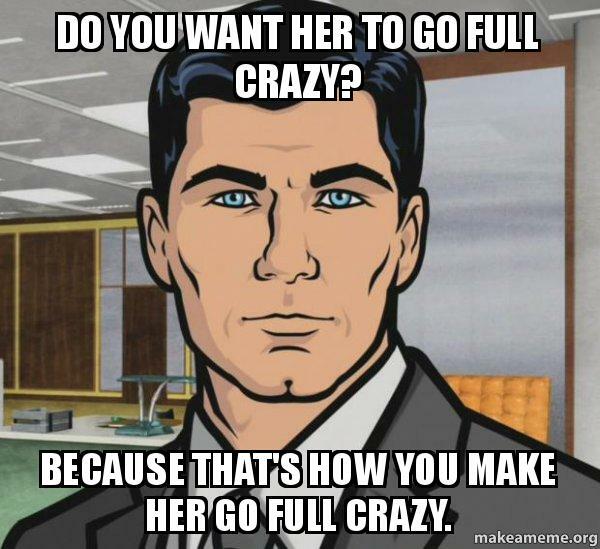 But don’t go full crazy aggressive even on acute clots, ok? Your patient is likely also on heparin or enoxaparin and so is protected while you figure out his warfarin. So now that we’ve established NOT to load patients, and to pick 1 of 3 starting doses (based on patient characteristics), the question becomes how to adjust subsequent doses. For the most part, you can pretty much expect to repeat the same dose on days 2 (and likely 3) of initiation. Remember the half lives of the clotting factors? 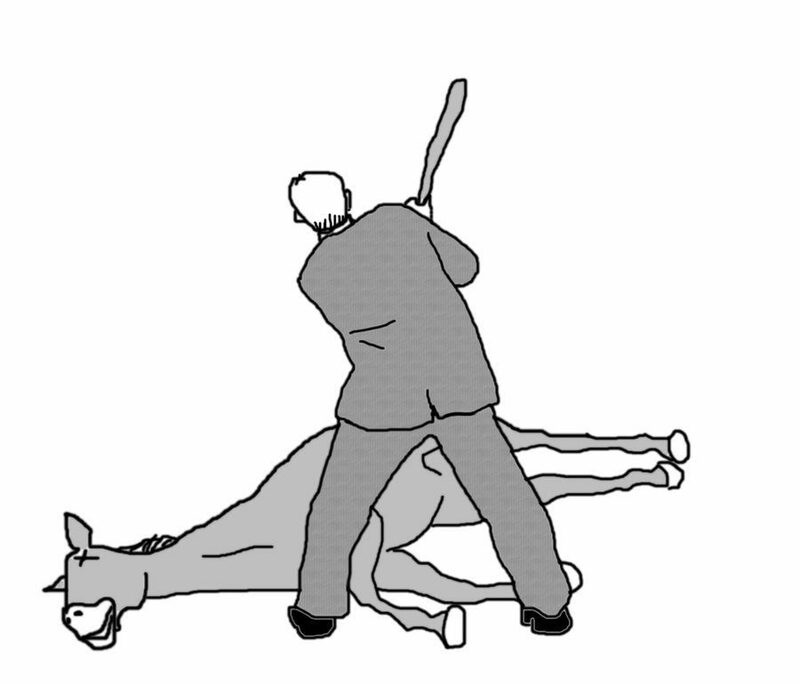 Don’t make us post another cartoon of someone beating a dead horse up here, cause we will do it!! It takes a long time for a dose of warfarin to really kick in and knock out those clotting factors - at least 48 hours to begin affecting the INR for each dose in most patients, and even then, you’re probably not be seeing the full effect of that dose on the INR. The full effect probably won’t happen until about 5-7 days after a dose is given! Because, remember, warfarin only inhibits the synthesis of new clotting factors…it doesn’t touch those that are already in circulation. So even though it may be day 3 of therapy, you may just be starting to see the effects from the dose on day 1. Confusing, right? And awfully tempting to ramp up the dose each day because, gosh, that INR just isn’t budging! But we like to think about warfarin initiation as a pickup truck stuck in mud. You may nail the gas to free the truck, but it’s probably not going to respond right away. You’re going to spin tires and throw mud. There’s a delay in response. By day 3 if the patient’s INR has not budged at all from baseline, perhaps it’s time to increase the dose. As per above, we should have at least seen the start of an effect on the INR. How much you increase will depend again on your patient, the indication, and any sensitivity/resistance factors. These should always be assessed on a daily basis (as well as any signs and symptoms of bleeding…because, you know, blood thinner). For the normal patient that you started on 5 mg for an active clot, perhaps you increase to 7.5 mg next for a stubbornly subtherapeutic INR. For our little old sensitive lady that we started on 2.5 mg, perhaps we give 4 mg.
Would it be wrong to give her 5 mg? No, not really, but doubling the dose feels a little aggressive with her extreme sensitivities (age, weight, and major drug interaction). Only going up by 0.5 mg to 3 mg seems cheesy (even though that’s a 20% increase in reality and may sometimes be appropriate), and who wants to order 4.5mg of warfarin (comprised of 2.5 and 2 mg tablets)? So we end up with 4 mg.
Let’s say we went to 7.5 mg for our normal patient, and on day 5 of therapy, the INR all of a sudden increases by 0.7 from the day before. Whoops! That truck released from the mud and has shot out onto the highway! Time to reel it back in. Our general rule of thumb is that if the INR increases by more than 0.4 in 24 hours, we’re likely going to hold that day’s dose and reassess the next day. The INR may keep going up even the next day, but hopefully the rate of increase will be less. Whenever the INR stabilizes, we know we need to decrease the dose at least to some degree. That may not mean going all the way back to the starting dose of 5mg, however. It probably means looking at how much we’ve given in the past couple days, adding up the total, decreasing by some %, and then dividing that into a new weekly regimen. This brings us to an essential point. Up until now, we’ve been discussing how to start warfarin. But once warfarin is started and we have a couple of days under our belt, we have to change gears. Warfarin is in a category of drugs where we think about the total weekly dose, not so much the daily dose. This is because of that delay in response. We don’t necessarily want to make dose changes based off of yesterday’s dose (unless that change is to hold doses for exaggerated INR jumps!). Thinking weekly means that we think of a patient taking 5 mg every day as taking 35 mg per week (5 mg x 7 days...because #math). After initiation, the adjustments we make to warfarin therapy are usually based on the weekly dose. And for most minor elevations or decreases to the INR, we reduce or increase the weekly dose by about 10 - 15%. So let’s say our “normal” patient has gotten a total of 35 mg in the past week, and today he has an INR of 3.4. Slightly high. So we might consider cutting back to 30 - 32.5 mg per week. What does that regimen translate to on a daily basis? This is where it’s a good idea to think about the tablet strength(s) the patient has. Let's assume our patient here has 5 mg tabs, so our dosing increments can be adjusted by either 5mg (1 tab) or 2.5mg (1/2 tab). So we could put our patient on a new regimen of 2.5 mg on Mondays and Fridays with 5 mg all other days of the week. This would make the new total weekly dose 30 mg, which is a ~15% reduction from the previous 35 mg/week. In an ideal world, we try to keep the patient on only one tablet strength to minimize dosing errors. 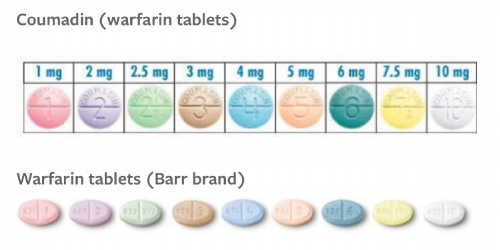 Warfarin tablets are color coded among all manufacturers, so if patients know they are always taking "a peach pill" then you reduce the risk of them taking the white ones that mistakenly got dispensed. If you really want to overachieve, it may be helpful to remember which strengths of warfarin correspond to which colors. We wish there was an easy “one size fits all” approach to warfarin. And we wish we could tell you that it’s entirely a science (again, that “art” part of the equation here is very real). But anyone who has gotten the surprise INR when reviewing labs in the morning can tell you, sometimes warfarin just doesn’t behave! What you can do, however, is learn some general rules of thumb for dosing warfarin and stick by those. No two patients are going to respond exactly the same to warfarin. Heck, one patient’s responses may change from week to week! It’s important not to get stuck in a rut of treating every warfarin patient with the same dosing approach. In the hospital, you should be able to do this daily. On the outpatient side, you’ll have to do more “shooting from the hip” to come up with a dosing and monitoring plan. Did your patient spike a fever or develop diarrhea overnight? Did a new antibiotic get added to their list? Are they now NPO for a procedure? In an outpatient clinic, it’s a little trickier since you’re not seeing your patients as frequently. But when you do see them, be sure to assess for any alterations in the modifiable factors. Especially changes to diet or medications. If we say the average risk of stroke in a patient with atrial fibrillation is ~5% per year (not accounting for CHADSVASC scores and risk stratification), then the daily risk of stroke per day is ~0.014%. So if you take 7 days instead of 5 days to reach a therapeutic INR, are those extra 2 days really going to cause a problem? Most likely not. And you might save your patient the trouble of a supratherapeutic INR and possible bleed if you push the doses more aggressively. On the other hand, if your patient has a massive PE and is being bridged with a labor-intensive, nursing driven heparin protocol AND has finally been approved for a bed at a skilled nursing facility, maybe you’re a little more aggressive. BUT DO NOT BE UNSAFE. Basically, weigh the indication against the above sensitivity/resistance factors as well as logistical factors. Because, well, duh. 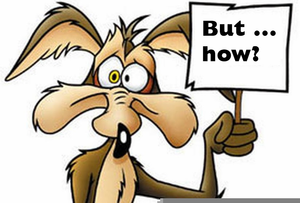 But how to you explain to your warfarin patients what’s concerning versus what’s normal on a blood thinner? All of these examples of minor bleeding should stop within 10-15 minutes of applying pressure. Bruises should shrink and go away. If bleeding doesn’t stop, especially heavy nosebleeds, or if bruises swell and become more painful, patients should either call their doctor or go to the ER (depending on how severe). It’s always useful to have The Chat with new blood thinner patients. This chat is the “you’re on a blood thinner and need to be careful about what you’re doing and how you do it” one. Telling them about taking extra precautions when possible so as to minimize risk of injury and therefore bleeding. Letting them know that if they fall and hit their head, they probably need to be seen, especially if they have a bad headache afterwards. THAT chat. Of course, you want to tell your patients that these are the less common issues with anticoagulation and that you’re not trying to scare them! We still want them to actually take their medication, but they should also know what to look for so they don’t just look at the toilet, go huh…, and then flush it away. On the other hand, patients should be educated about signs of clotting, since we’re also trying to balance and prevent that. These are often unilateral signs, and patients may have one, all, or none of these! So tricky. They can also be signs of other issues, such as infection, and so aren’t superbly specific. But it’s still useful to educate on these because oftentimes we have incidental findings of peripheral blood clots in asymptomatic patients, so they don’t know what to look for the next go-around. A good way to describe this to patients is that where they normally were used to climbing a flight of stairs without difficulty, all of a sudden they can’t make it halfway without feeling short of breath and fatigued. The key is sudden onset though. Not the whoops-I-haven’t-been-to-the-gym-in-6-months-and-now-I-feel-like-grandpa shortness of breath. But really, this could be chest pain, back pain (often center back or under a shoulder blade), or under the ribs side pain. Again, of sudden onset. In other cases, such as atrial fibrillation, we’re less worried about VTEs and PEs. In these patients, the clot risk is referring to STROKES. Unless a patient has a PFO (patent foramen ovale, aka a not super common hole in the heart wall between the left and right atria), venous clots shouldn’t pass into the arterial side and travel to the brain to cause a stroke. The ever narrowing pulmonary vasculature will catch these (causing a PE) in most normal people without PFOs. The FAST acronym is the easiest way for patients and their families to remember this information. Demonstrations and pictures can also help while counseling! One-sided facial drooping or weakness, including lopsided smiles or droopy eyelids. One-sided arm (or leg) weakness. When asked to raise both arms or move both legs, patients may only be able to manage one side. Slurred speech or difficulty finding words. Or nonsensical speech. Patients having a stroke may suddenly seem to start speaking gibberish, or they may not be able to find the right words (or any words at all = aphasia). And of course, all of us have moments of not being able to find the right words, but that’s usually every once in a while and normal. Time is brain. If patients or families notice any of these signs, it’s an automatic 911 call. Not an OMG-hop-in-the-car-and-drive-to-the-hospital. A 911 call. The ambulance gets to weave through traffic and go faster than any normal car can. And the quicker we get to evaluate these people, potentially the more we can do for them to reverse the issue. Of course, being on a blood thinner makes it trickier with some therapies (like tPA or alteplase), but still. Get evaluated quickly. Try to avoid regimens that mix up different tablet strengths. They’re an adherence nightmare and are SUPER risky for dosing (and dispensing) errors. Try, try, try with all your might to keep to one tablet strength and use half tablets or multiple tablets to fit your dosing scheme. You’re probably starting to see that warfarin dosing is a tricky thing to spell out in clear, consistent terms. Like we said, there’s not necessarily one right answer…but there are definitely some wrong answers. "10 mg PO Mon - Fri; then off for weekend"
"5 mg PO Mon - Thurs, then 10 mg Fri - Sun"
You want to spread the dose out as evenly as possible throughout the week. Heavily loading the dose on one end leads to a patient being under-treated in one part of the week and over-treated in the next. "7.5 mg Mon - Sat, 5 mg on Sun"
It's not exactly perfect, but remember, we want to try to make this easy for the patient. You can complete this entire regimen with only 5 mg tabs. Most patients being treated with warfarin need to be bridged with heparin/enoxaparin anyway (with a notable exception in afib patients, who don’t usually require bridging), and loading with warfarin does not remove this need. Loading doses of warfarin can make it difficult to stabilize the patient's INR when you are initiating and can potentially increase the bleeding risk. I think we’ve belabored this point enough…but remember, warfarin inhibits the synthesis of Factors VII, IX, X, and II (and also protein C and protein S). It doesn't do anything with the existing factors. When you are initiating a patient on warfarin, it's natural to see their INR of 1.1 on day 2 and want to increase the dose. You have to fight this urge. You've gotta give warfarin time to work. The institution where you are practicing will likely have some basic guidelines on initiating warfarin, so when in doubt use those. In most (really, all cases), it’s better to go a little slower with warfarin dosing rather than too fast. If faced with making a decision between two different doses, it’s almost never wrong to go with the more conservative because you can always increase. In cases of active clot, patients are being covered with a parenteral anticoagulant, so being more conservative with the warfarin will not put your patient at immediate risk. The team might get frustrated by slow INR increases, but you won’t be sacrificing patient safety with egregious jumps in INR. On that note, we have to have at least a couple quick notes about what happens when the INR is too high and/or patients have a bleed. Otherwise, this wouldn’t be the guide to end all warfarin guides, now would it?! There are a couple options when patients have supratherapeutic INRs (or therapeutic INRs and need emergent/urgent surgery), and choosing between them depends on the degree of INR elevation as well as the clinical symptoms the patient is experiencing. Each institution has its own protocol for what and when to use these products, but we’ll at least introduce them. The first and probably most obvious option is to put Voldemort in front of Harry Potter. Oh sorry, nerd alert. We should say, we give patients vitamin K to work against the warfarin. Giving vitamin K allows for a return to clotting factor activation. The bleeding:clotting balance shifts back towards clotting, which brings down the INR. Vitamin K can be given either IV or PO. IV administration comes with the risk of an allergic reaction, so we don’t do it lightly. Most hospital protocols only call for IV in the setting of severe or life-threatening bleeding. Otherwise, we use PO vitamin K.
FYI, if the patient is expected to go back on warfarin therapy in the near future (like, we’re just reversing the warfarin for a quick procedure), we don’t want to use a boatload of PO vitamin K - we’re talking itty bits like 2.5 - 5 mg PO. Because that stuff sticks around (fat soluble, remember?)! Resuming warfarin and having to fight for a week against 10 mg of vitamin K is painful, trust us. So if you absolutely have to use it because a patient’s INR is 11 (even if they’re not clinically bleeding) or a patient’s INR is 4 and they’re having nosebleeds, use as small of a dose as possible to get the patient back in a safe range and mitigate the bleeding. Even though it’s useful solo in certain situations, vitamin K isn’t necessarily the speediest therapy. Effects of vitamin K on INR are apparent within 4-6 hours, but full reversal from a dose can take up to 24 hours. So let’s see what else we have in our arsenal of reversal. For cases of more severe bleeding or for warfarin reversal for urgent procedures, we have a good ol’ standby: FFP. FFP is a product made from the liquid of whole blood, so it contains all coagulation factors except platelets. That means it has all the factors inhibited by warfarin (you guessed it - VII, IX, X, and II, as well as proteins C and S). But it also contains fibrinogen, albumin, and antithrombin, among several others. So it’s not very targeted or specific…and it’s not that concentrated. So it may take multiple units of FFP (each one usually ~200-250 mL) given in several rounds every couple of hours to fully reverse someone’s bleeding. And not everyone can tolerate the amount of volume that comes with multiple transfusions. (Although some people require that volume resuscitation depending on how much blood they’ve lost!). Of note, patients also have to be typed and crossed to ensure the FFP is compatible with their blood type (ABO). And this brings us to option numero tres. For severe or life-threatening bleeds or the need for emergency procedures, we also have the option of giving a PCC. These products are concentrated preparations of various blood factors found in plasma, including clotting factors. There are multiple products available, but the most commonly used these days is K-Centra. It’s the most popular because it was the first PCC to contain all four vitamin K dependent clotting factors (whoa, shocker - VII, IX, X, and II) together. Like FFP, it also contains proteins C and S (the natural anticoagulants), which seems counterproductive in the setting of a bleed, right? But the key here is that K-Centra provides NON-activated blood factors. So the body will only activate what is needed, which in the setting of a bleed will be the 4 clotting factors. Not proteins C and S.
This brings us to another point. Vitamin K must be administered with K-Centra! Since its components are non-activated, vitamin K has to be readily available to activate them ASAP to halt the bleeding. From a pharmacist’s perspective, it’s important to know that K-Centra is marketed as 500 international unit (IU) and 1000 IU vials. These values refer to the amount of factor IX in each vial, and it’s really just a range. For example, the 500 IU factor IX vial may actually contain anywhere between 400-620 IU of factor IX. The actual amount is printed on the side of the boxes. So when determining how to make a 25 mg/kg dose for a patient, you may have to play a little bit of pharmacy go fish to see what combination of IU vials gets you the closest to the required dose. As far as how to use these products, you may only need 2.5 mg PO vitamin K once for a minor situation. But for another patient with a major hemorrhage, you may use all 3 together! As expected, the biggest risk with using these reversal agents is (surprise surprise) a thromboembolism, including DVTs, PEs, and strokes. Until then, it takes time and practice to become more comfortable with this wily medication. Fortunately (and unfortunately), we don’t see warfarin as much as in years past, so finding that practice is a little harder. Know that you’re not alone if you are hedging between two different doses and finding it hard to make a decision. Don’t hesitate to bounce dosing dilemmas off of more experienced colleagues - we STILL do this when we hit difficult scenarios! Finally, hindsight is 20/20. Use it. Reflect on your choices. Sometimes you can make some sense of where you could have done better, and then sometimes you just plain get surprised. Either way, you will learn from each and every warfarin patient. May the warfarin force be with you!